This week I got two offers from companies asking to partner up with my blog and get some exposure on here. Both were unsolicited, surprising and actually a little bit exciting. Like many others blogging I have dreams of one day making a full time living from writing. Whilst that has always been confined in my mind to publishing works of fiction, these offers did start me wondering whether blogging could supplement such a career in some way. I have read several features on successful blogs and always wondered how the writer was able to do it full time. One such blog is Cupcakes and Cashmere – it’s a style focused blog, well written and girly with lots of gorgeous things to look at. The writer works full time on the blog and states that this is possible by working with partners. Whilst I’m still miles away from even considering working on this blog full time, it is an interesting direction to consider especially as it would free more time for me to work on my book. I would have to consider carefully how I’d monetize my blog though, I wouldn’t want to endorse things I’d never tried or didn’t believe in or write reviews that were false or misleading but if things appeared that genuinely fitted with my blog and me then I think I would go for it. Have you been approached with any sponsorship request for your blog? What would you do if you were? Wow Vicky, that’s exciting. I think that I would scream and do back flips if I got sponsorship offers for my blog. Why? Because it means that people recognize that you have something to say and are reaching enough readers to make it worth their while. I respect you for wanting to be cautious about who you allow to advertise on your blog (and I would do the same after I recovered from the injuries caused by my attempting back flips) but what an excellent option. Keep writing! Haha love the image of you screaming and back flipping 🙂 Thanks Lisa! Hey Vicky, I just read on Facebook that WordPress doesn’t allowed sponsored ads, so you would have to create your own website with WordPress software if you want to do this. Of course, I’m not sure, but it is something to think about. How exciting…what a great way for your blog to be recognized! I definitely think it it might be a great way to supplement a writing career & so proud to hear that you’d want to do it with integrity. I could not imagine any less from you!!! Or they just think I do 🙂 No you’re right, it’s very flattering! Ooh cool, reviews would be fun! That’s great news Vix and definitely worth considering – it means they think people are interested in what you have to say if they want to sponsor you, and that’s a great incentive on it’s own. You are being recognized as a writer – woohoo! You are a great writer and fully deserve this. 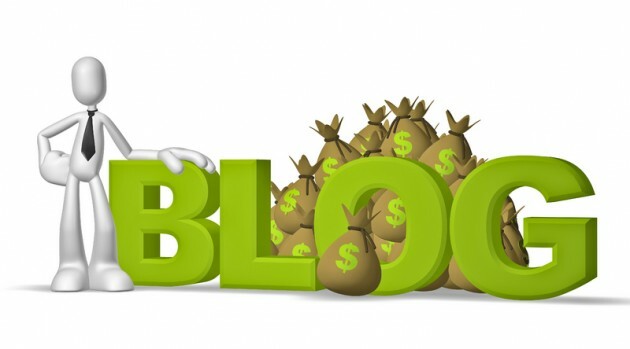 That’s really awesome – your blog deserves it! As Lisa noted, you might have to move to a paid host as WP does not allow sponsored ads on it’s free platform. Yes I think I would but not sure I’d get it right eek! It would be great to do that for sure! I hope an opportunity comes your way! Thanks! Wow how exciting Vix! Congrats! WordPress have some terms about advertising so I say start with getting your own domain and do this blogging part time until you are confident that its stable then by all means, blog full time! You have what it takes 🙂 All the best to you!! I need to learn more about this but good plan! Thanks Tien! Hmm, exciting opportunity. Go with what feels right for you, and good luck! It’s an awesome chance, and I think you should go ahead. And best of all, you get to do what you love the most – to write to your heart’s content. Good luck !! !